In Match 6 of VIVO Indian Premier League (IPL 2019), Kings XI Punjab will take on Kolkata Knight Riders in the backdrop of mankading controversy at the Eden Gardens in Kolkata on Wednesday. Skipper R Ashwin is in the eye of a storm after 'Mankading' Jos Buttler but a winning start will keep Kings XI Punjab upbeat against home favourites Kolkata Knight Riders. It was Ashwin's mankading of Jos Buttler that had triggered a dramatic collapse with Kings XI Punjab restricting Rajasthan Royals to 170 for nine to notch up a 14-run win. Buttler was looking in imperious touch with 69 from 43 balls and Rajasthan well on course to overhaul the target of 185 but following the dismissal they went on to lose eight wickets for 62 runs to hand Kings XI Punjab their maiden win in Jaipur. Though the dismissal was within the rules of the game, it sparked a huge furore with spin legend and Rajasthan Royals brand ambassador Shane Warne labelling it as "disgraceful" and against the spirt of the game. 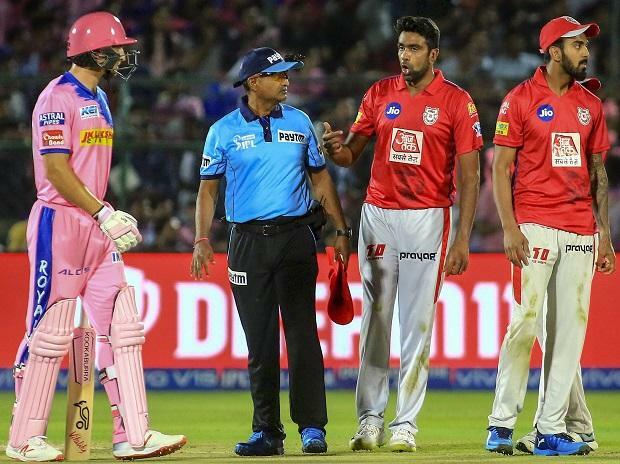 With a debate raging over the runout, it remains to be seen how R Ashwin and Company start afresh in what will be their first away match of IPL 2019. KKR playing 11: Chris Lynn, Sunil Narine, Robin Uthappa, Nitish Rana, Dinesh Karthik, Shubman Gill, Andre Russell, Kuldeep Yadav, Piyush Chawla, Prasidh Krishna, Lockie Ferguson. KKR vs KXIP match live streaming will be available live on Star Sports 1 HD, Star Sports 1 in English Commentary and Star Gold in Hindi Commentary. One can also live stream the KKR vs KXIP match on Hotstar app and website. KXIP squad: R Ashwin (C), Sam Curran, Varun Chakaravarthy, Mohammed Shami, Nicholas Pooran, Moises Henriques, Hardus Viljoen, Darshan Nalkande, Sarfaraz Khan, Arshdeep Singh, Agnivesh Ayachi, Harpreet Brar, Murugan Ashwin, Chris Gayle, Andrew Tye, K L Rahul, Ankit Rajpoot, Mandeep Singh, Simran Singh, Mayank Agrawal, Karun Nair, Mujeeb Ur Rahman and David Miller. KKR squad: Dinesh Karthik (c), Robin Uthappa, Chris Lynn, Shubman Gill, Andre Russell, Carlos Brathwaite, Sunil Narine, Piyush Chawla, Kuldeep Yadav, Nikhil Naik, Joe Denly, Shrikant Mundhe, Nitish Rana, Sandeep Warrier, Prasidh Krishna, Lockie Ferguson, Harry Gurney, KC Cariappa and Yarra Prithviraj.